HANSON, Alexander Contee, (grandson of John Hanson), a Representative and a Senator from Maryland; born in Annapolis, Md., February 27, 1786; attended local private schools and graduated from St. Johns College, Annapolis, in 1802; studied law; admitted to the bar and commenced practice in Annapolis, Md. ; member, State house of delegates 1811-1815; established and edited the Federal Republican, an extreme Federalist newspaper, in Baltimore, and on June 22, 1812, four days after war was declared, a mob, irritated by his articles denouncing the administration, destroyed the office; when he issued the paper from another building in late July, he was seriously injured by a mob; moved the paper to Georgetown, D.C., where he published it unmolested; moved to Rockville, Md. 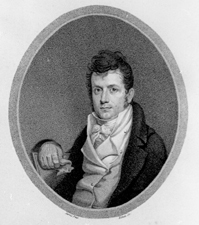 ; elected as a Federalist to the Thirteenth and Fourteenth Congresses and served from March 4, 1813, until his resignation in 1816; unsuccessful candidate in 1816 for election to the State house of delegates; elected as a Federalist to the United States Senate to fill the vacancy caused by the resignation of Robert G. Harper and served from December 20, 1816, until his death on his estate, Belmont, near Elkridge, Howard County, Md., April 23, 1819; interment in the family burial ground. American National Biography; Dictionary of American Biography; Hanson, Alexander Contee. Reflections Upon the Late Correspondence Between Mr. Secretary Smith, and Francis James Jackson. Baltimore: Privately published, 1810.